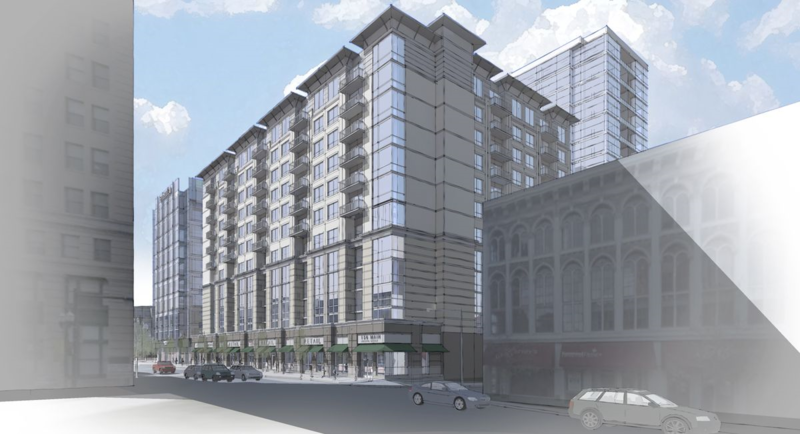 With my post on the Urban County Council’s questionable-but-unanimous decision to support a fraudulent new financing scheme for CentrePointe, I hoped to raise important questions about the wisdom of proceeding with public funding for the long-stalled project in downtown Lexington. What remains is to get answers for the questions raised there. I expect that council members, developers, Tax Increment Financing proponents, and their allies will face much more challenging questions as citizens and the local press begin to look for those answers. I have attempted to explain why I think CentrePointe is a bad deal for the public and for investors. But I don’t have a monopoly on information about CentrePointe and its most recent developments. Despite my best efforts, I may have made mistakes or missed important details. So I welcome information which helps clarify matters. But ‘clarifying information’ hasn’t always been easy to get with CentrePointe. Given past interactions with CentrePointe defenders, and in the spirit of fostering fair and healthy debate, I offer this helpful guide to defending CentrePointe. Hopefully, these useful suggestions will help anyone sympathetic to CentrePointe formulate better, more thorough, and more effective answers than they have contrived in the past. 1. Refuse to attack your critics. If you find ourself beginning to respond with any variant of the above, stop immediately. While all the above assertions may be true, attacking your critics in this manner (or assuming that you know what they think, feel, or understand) sounds condescending. It also betrays your lack of more substantive responses to legitimate questions. 2. Avoid resorting to ‘privileged information’. Secrets fail to bolster your case. Referring to privileged information – secret plans, documents, financiers, underwriters, bond offerings, etc. – reinforces the impression that you are hiding something, and undermines the notion that you have a viable and legitimate plan. After last week’s vote, we’re all in this mess together now. So you might as well share all of that special, super-secret stuff that only you know. Don’t try to win the argument by referring to McCarthy-esque secret documents. In the end, everyone will know that you’re bluffing. 3. At all costs, refrain from bullying and intimidation. Don’t pull $20,000 in advertising from publications which ask legitimate questions about your project. Don’t berate critics in the newspaper. No. Really. Don’t berate critics in the newspaper. And try not to imply that you may resort to legal action against your critics. People in true positions of strength don’t issue such weak threats. 4. Try not to say ‘private property’ or ‘private development’. While these phrases have been quite effective for you in the past, they have worn whisper-thin. By now, everyone understands that you are using public financing to help fund your development. Everyone knows that you are requesting that public agencies issue bonds to be paid back with public tax revenues. So don’t try to maintain the elaborate charade of privacy. Everyone knows it is a charade. 5. Suppress any impulse to play the victim. You are powerful people who make big, important decisions. Most of you get paid very well (I’m excluding council members here). Pretending you are some sort of victim – especially a victim of bloggers and other commentators – is unbecoming of someone of your stature. Besides, everyone now knows that you plan to be the recipient of a huge taxpayer-funded payday | bailout | bonanza. So lose the ‘poor me’ act. If you are losing the war of words and ideas, try using better ones. 6. Use facts and logic to support your case. Believe it or not, this might be the most effective tool you have in your arsenal! If your critics are wrong, use detailed facts and impeccable logic to spell out why. If you’ve got secret information which proves your critics wrong, start sharing it now. Your critics have spelled out their cases. Now be detailed, thorough, and crystal clear in yours. * The rest of us can use this as a simple guide to separate the CentrePointe nonsense from the CentrePointe substance – our very own B.S. detector! I remember Finance Plans A, B, C, and BS. 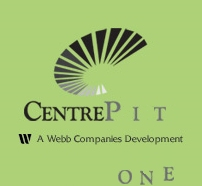 The city in secret said it was pleased with Finance Plan BS the current finance of CentrePointe so it must be sound finance even though nothing has been built and the Webb Co. is asking for TIF Bond Issue immediately. Jeff Ruby Steakhouse to offer flying pigs and unicorns on the menu.